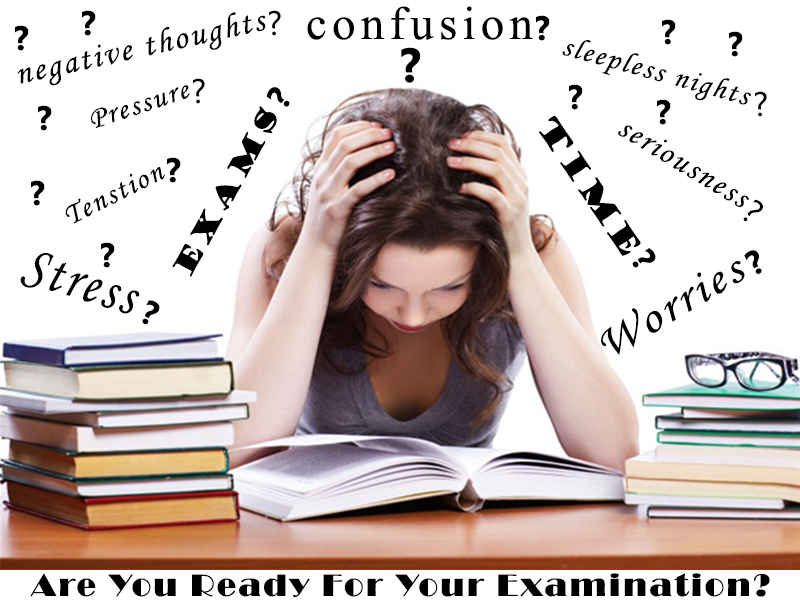 How To Beat Stress And Pressure To Achieve Big Success In Examinations? Exam time going to start soon, are you ready for that? Oh! No, you all are taking stress because exams are coming, don’t do that. My dear friends stress will vanish your success which is just few steps away from you. Exam time not about taking stress and stop enjoying your life? No one told you that only you told yourself take stress, think negative, feel exam fear, and stop enjoying your life with positive attitude. I know it happens with everyone during exam time. But very few of us know how to handle stress, fear, and stop worrying while preparing for exams. Here I am writing this article especially for you dear student because you are reading it for you not for anyone else. If you are reading this article then you’ll start realizing that I am virtually talking to you about how to control stress, fear, and negative thoughts. My Friends exam is an important event in our life, take it sincerely not seriously. Because sincerity infuse positive thoughts and motivation which brings success, while seriousness give us stress, fear, and infuse negativity in our mind which leads failure. Exams are just a process to evaluate our preparation and help us to identify our strengths and weaknesses. No one is perfect in this whole universe and everyone has some strength and some weaknesses. Unfortunately most of us don’t know what our strengths and weaknesses are? And we are very fortunate that exams are there to let us know about that. If you want to be a winner then never fear from failures, work on your weaknesses sincerely to become successful. Exams are the only ways in any field to know your weakness. Know it, accept it and work on it to succeed. Friends, if you are attempting for something then trust me you’ll never be a failure. Attempting means you’ll either be successful or unsuccessful not failure. Failure is the only person who is not attempting for anything because he doesn’t want to be unsuccessful. One thing you need to understand very clearly is, not succeed in an exam doesn’t mean failure in the whole life. If that happens then we never have great persons like Albert Einstein, Bill Gates, Mark Zuckerberg, Kapil Dev, Sachin Tendulkar, and Our Prime Minister Mr. Narendra Modi. These all were not great in their schooling but all of them achieved great success in their life because they knew their strengths. So friends focus on your strength and work hard on your weakness to win over them. Friends, I hope my post will help you in your coming examination. Believe me you all are unique in your own way and no one is better than you in that. So be cool, happy and get ready to enjoy your exams positively. Ø Take healthy breakfast and Lunch but dinner should be light. Ø If there is any issue or problem openly discuss with your parents or elders. Ø Keep happy and healthy environment at your home, it will keep happy you’re Child during examination time. Ø Never ever compare your Child with anyone else because believe me your Child is best in the whole universe. Ø Don’t create negative atmosphere and never give failure reference from past to your Child, it will discourage/demotivate him/her. Ø Don’t put pressure of your expectations on the shoulders of your Child. So, My Friends now you will not take your exam seriously, take it sincerely and ready to give your best without thinking about the outcome of the results. I am sure our next generation will give something special to our society. Take care and god bless you all. very good article, your every post very important for us. Thanks For sharing. It contains a lot of information. We need to learn new things from these blog. this is very good & helpful/useful article, again thanks you so much for sharing this article.